As reported in our early trends yesterday, 2.0 Hindi version has shown good hold on day 2 (Friday). In fact film has done bit better than our early trends predicted yesterday. This is because film has hold pretty well in interiors and drop is much less there. 2.0 Hindi has collected an approx 18 crore nett on Friday as per estimates. Datas are still pouring in and actual may vary a bit. Film has thus registered a drop of around 10-12% from Thursday. From early trends it was looking as if drop will be 15% or even more. 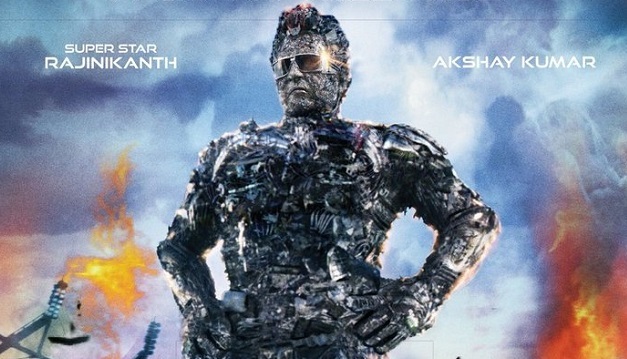 Thus, 2.0 two day total stands at approx 38.25 crore nett. There is still Saturday and Sunday left. If we go by the hold on Friday, then film should strike back big on Saturday and Sunday. Means a good to very good extended first weekend is on cards. Early word of mouth of film suggest it is on track to touch or cross 200 crore nett in India. It is still early days and by end of Monday reports will be out whether film can go distance of fall short of 200 crore mark. However, good hold on Friday has atleast ensured that 2.0 will be the biggest grosser of Akshay Kumar career unless film crashes from here on. Friday -> 18 crore nett (estimates). Total -> 38.25 crore nett (approx). Don't forget that the budget is 600 cr. Excellent work addatoday. You are Very fast. Now 100+ weekend collection possible. Big growth today. First day 115 crore + first day. Single day 100 crore gross. Even Salman and Aamir in single movie cannot do that. First Bahubali 2 now 2.0. Two top single day from south. Bollywood has to make meaningful cinema or stop making it. Khan cannot save your movie only content can. Audience is king this year. Ayushman Khuranna Kartik aryan are giving hit after it. Sharukh is already over. If more toh and race 3 type movies than same will happen to aamir and salman. Zero is the worst trailer I ever seen. Another flop from sharukh is coming. You are wrong. South movie will do 100 crore in single day because people of Noth India has accepted South Cinema But South has still not accepted Hindi Cinema. For them regional Cinema is more important than Bollywood. They even do not like talking in hindi. Go to south and you will hardly find Hindi Signboards though it is National Language. Bro I belong to India. I appreciate content whether from south or north. Right now south is the king.whether movie is flop or hit doesnot matter. What matter is content. There is a sharukh movie Swadea it was flop on box office but one of the best content I ever seen. So if a website or a person start to represent best in whole country than it will be proudest moment for every Indian. Aryan why are you imposing Hindi? Who said it is our national language? There are 20 official languages in India and each state has the freedom to choose their own language. Do not think that talking in Hindi will make you a better person than another.